Delivery of the Level 3 Award in Education and Training to members of staff working on the London Cycle scheme. 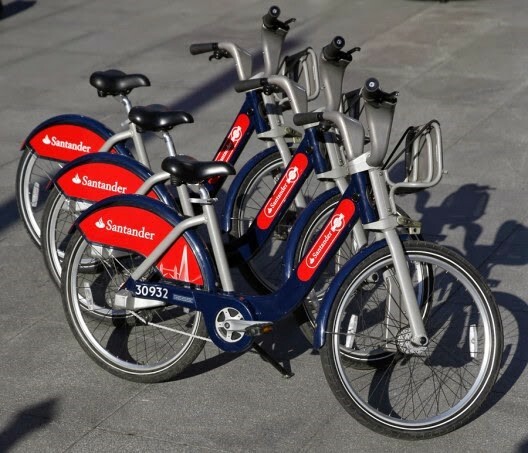 Serco currently run the London Cycle scheme that former Mayor Boris Johnson introduced in 2010. With over 12,000 bikes to maintain, service and distribute across all London boroughs it takes a skilled team of managers, drivers, mechanics and administrators to keep each docking station in full operation. The managers of the scheme approached Train Aid about training a group of the cycle scheme employees, so that they could carry out in-house training within their respective roles. This included senior managers, mechanics, drivers and staff from the control room in Islington, London. The Level 3 Award in Education and Training is a foundation training course that teaches people the skills and knowledge to train people in their own specialist subject. The management team at Serco decided that this was the perfect course for training their staff up to deliver their own in-house training and share good practice throughout the company. The course was internally advertised and Train Aid’s course coordinator Tom Casserley visited the Islington office to brief those employees interested in the course and explain exactly what it would entail. There was a strong response from the bike scheme staff and they appreciated the opportunity to gain a nationally accredited teaching qualification. Initial assessments were carried out and successful applicants were split into two groups. The courses were then taught over three days on consecutive Thursdays. The first two days of each course covered the theoretical elements and prepared learners for the three written assignments. The final day of the course was the practical day, where each learner had to teach a 15 minute micro-teach on a subject within their current job role. The courses were taught in a friendly and professional environment in the company training room in Islington. The Serco staff really enjoyed sharing the requirements of their daily jobs with each other, as although many of them had worked together for several years, they were often working on different sites or on the road. They all really embraced the course and showed a conscientious attitude towards the written assessments. The micro-teach days were great fun with many of the staff choosing to do their micro-teach on a practical task within their day to day job. Overall it was great to see the Serco staff grow with confidence as they progressed through the course on their way to achieving a nationally accredited qualification.